I love finding and curating stuff for The Shop At My Dream Canvas. 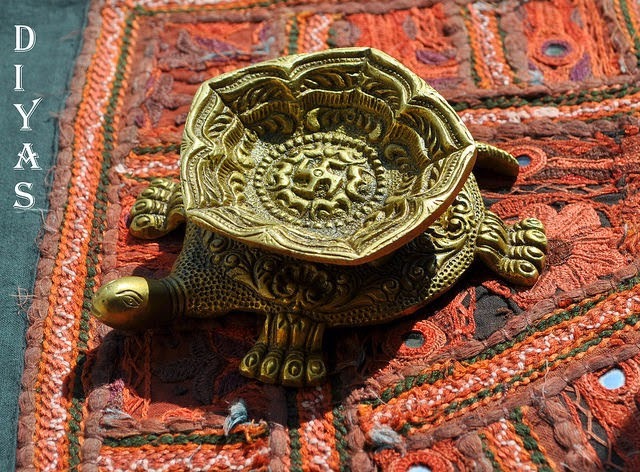 This turtle diya caught my attention as soon as I saw it :) It can be used as a Diya/lamp and looks beautiful when lit at night. You can also use it the way I do.....place it on a table on a a pile of books or next to a pretty plant! Shop for this and other unique products at my online store!